We’ve secretly been working on a major update and are very happy to now finally be able to present it to you: the Inheritors Update, a free, automatic update for all players on all platforms, available RIGHT NOW! What kind of god are you going to be? Will you create a flourishing civilization or lead your followers into cannibalism? We are excited to announce the launch of Crest, an indirect god sim. After almost five years in development, Crest has shaped up to be something we are very proud of. You can find the cinematic launch trailer here as well as a new gameplay trailer here. In Crest, you become a god and try to control your followers using commandments, however free will leaves these open to interpretation. Will you create a flourishing civilization or lead them into cannibalism? Islands - Your followers are always looking for new adventures. Will they conquer new lands, or simply go fishing and return home? Ecology - How will the weather affect the development of your society? Be careful–any imbalances could have drastic consequences. Animals - Humans aren’t the only residents of your world. Crest is populated with a wide variety of animal species, including everything from hyenas to hippos. Terraforming - Literally shape civilization by commanding followers to change their surroundings-but how will your commandments change them? For further infos and news visit the official website (http://eatcreatesleep.net/) and follow us on Facebook & Twitter. Dev Blog #168 - One Week Left! 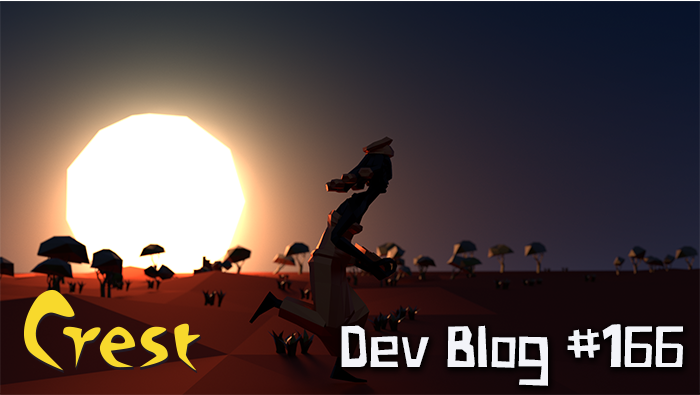 Dev Blog #167 - Two Weeks Left! Two weeks left until the launch of Crest and it’s looking pretty good!